‘Black Sabbath,’ is a triptych of a film, putting together three short films to make up one feature-length film. 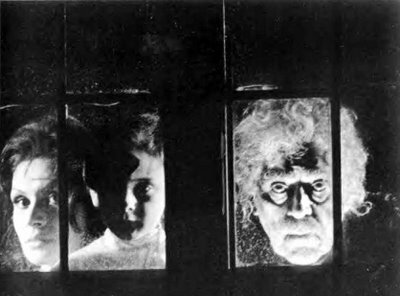 The movie is hosted by Boris Karloff, who also appears in the second film. The first story is, ‘The Telephone,’ about Rosy, a woman who receives a threatening phone call. She’s alone and it’s night and the person harassing her keeps calling her back. There are threats on her life. And, on top of everything, the caller can see her, telling her she likes the robe she’s wearing, why did she undress in the corner, etc.? It’s a spooky story, set in the present, unlike the other two films. AIP, (the US distributor,) re-cut and dubbed the movie, so, depending on which version you watch, you might get a different set of events. Rosy, it is so implied, is a prostitute. The person calling her, it is later revealed, is Mary, a jilted lover who Rosy herself calls when the harassing messages become too much for her. A note is slipped under her door, letting her know that Frank, a man who was recently released from prison, (although we’re not entirely sure of his connection to Rosy, the AIP version implies she sent him there,) is now out and looking for her. Mary comes over and calms Rosy down and gets her to bed. She slips sedatives into a glass of water and pretty soon, Rosy is out cold. Wracked by guilt, Mary begins composing a note to Rosy, coming clean about the whole thing, about she was the one behind the phone calls and how she hopes Rosy can forgive her. It is then revealed that not only is Frank free and on the loose, but he is standing behind Mary. Using a stocking, he strangles her. It is implied that from behind, he confuses her for Rosy. In a final attempt to stay alive, Mary stabs Frank, killing him. However, she too dies, just as Rosy wakes up. The story ends with Mary surrounded by the two bodies of her former lovers. The direction and look of the film is crisp and modern. Some have criticized it for being too weak and predictable. However, it’s so well executed, one can easily overlook some of the shop-worn traits of the film. The story opens with Vladimir stopping at the house for the night. He does not know the family, but rather is simply passing through. The family agrees to put him up. However, things get uncomfortable when Gorka, the grandfather, (played by Karloff and looking like a cross between Kurt Vonnegut and Donald Southerland in the 70s,) returns long after he left and the family suspects he is a Wurdalak. Gorka ends up taking the young son, Ivan and sacrificing him while Vladimir runs off with the youngest daughter of the family. The story is interesting and some say it delves deeper into the guilt and reality of vampirism than any other movie. When viewed a second time, one can appreciate this, however, I found it rather tedious and distracting. 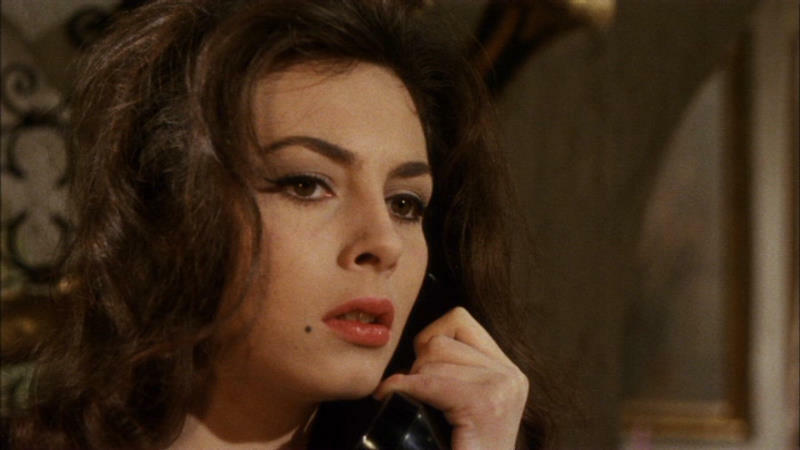 The final film, ‘The Drop of Water,’ is what Mario Bava considered his masterpiece and his greatest film. 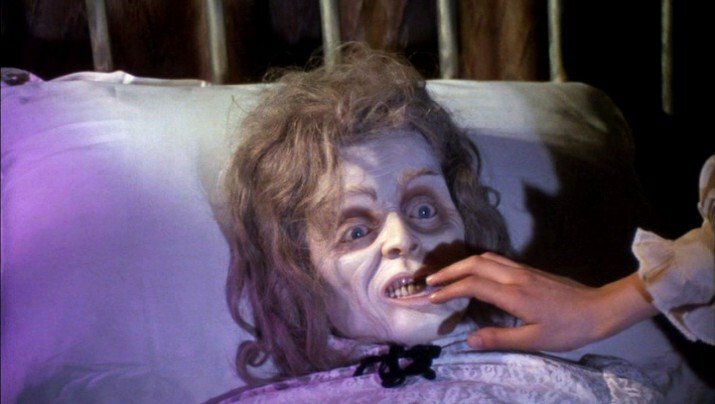 It is about Nurse Chester, a nurse called to prepare the body of a fortune teller who died during the night. The night is dark and stormy and she wants to put it off until morning, but the woman’s maid/assistant insists. While doing her work, she notices an attractive ring on the dead woman’s hand. She carefully slips it off and into her pocket. When she returns home, she finds that the spirit of the dead woman is haunting her, punishing her for stealing the ring. The film is well shot and very light with dialogue. Bava plays fully with the lights and colors and, again, you can see where Dario Argento got his inspiration for such films as ‘Suspiria.’ There is a repetitive sound of dripping water, evocative of Poe’s ‘Tell-Tale Heart,’ as the woman considers her actions. The whole project with Karloff again, this time back in his narrator role. As he sums up the film, Bava pulls the camera back, revealing the crew and the fake horse Karloff is riding and the fan that’s blowing on him. It’s a nice ending, reminding the audience that it’s only a story.